Recently, I walked through a home with an owner as she contemplating the question “What can I do to update this place and make it feel more like me?” I bet you’ve asked yourself that question a time or two, right? I know I have. In this case, I mentioned the interior doors and she seemed generally surprised, almost “awakened.” Doors are just one of those things that you almost don’t even see. They’re just there. No thought is given unless one stops working or you get locked on the wrong side of it. Not that I would know about that. Changing the windows on your home can sometimes dramatically change the entire feel and style of your house. You know what else is like that? Window design. Windows, like doors, are just there. 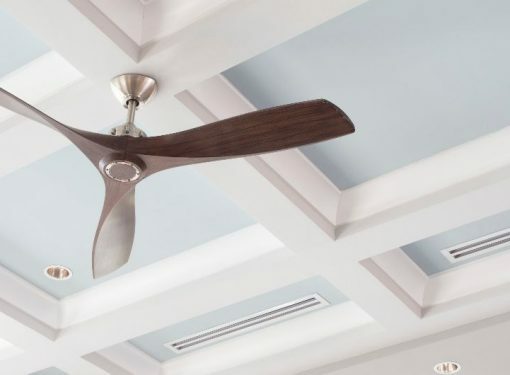 But in reality they are one of the largest design elements in your home! They take up a massive amount of space. They are super important to how you live day to day. So maybe it’s worth thinking about them a little bit. Especially if you’re in the market to replace them anytime soon. Let’s do a brief rundown of the primary types of windows in homes. Let’s identify what you have, what your neighbor has and what you like the most. What are they? Single hung windows slide up to open. Only the bottom panel moves while the top panel is fixed. They can be either “one over one,” which means one pane of glass on the bottom sash and one pane of glass on the top sash, or they can feature “lites” or a grid-type pattern that mimics the look of smaller pieces of glass in each sash. Colonial windows are often “six over six,” for example. What’s the advantage? Single hung windows are very common because they’re less costly than other types of windows, in general. What’s the style element? Single hung windows suit many home styles, although they don't make a dramatic statement. You see them so often that you tend to consider them as functional. The horizontal bar between sashes makes single hung windows less visually open, as the bar is often right at eye-level. What are they? Although they look almost exactly like single hung windows, double hung windows are generally considered an upgrade, as both sashes move. This is good for cleaning, but also can be useful for managing airflow in certain weather. Most people, however, still tend to use only the bottom sash. What’s the advantage? Double hung windows are often an indicator that you’ve got a higher-end design that offers advantages like efficiency, smoother operation and better materials. And there’s also the aforementioned ability to control airflow a little better if you’re someone who likes to keep the windows open. What’s the style element? Single hung and double hung windows are very similar in appearance, so the primary difference here is more related to window grade than look. Produced by more upscale manufacturers, double hung windows are thicker and more solid in appearance. What are they? Horizontal sliders are essentially sliding-glass (often called patio) doors that don’t go to the floor. They operate the same way. One panel slides to the other side over top of the other panel. Sometimes both panels move, sometimes only one side is operable. What’s the advantage? Horizontal sliders are nice because the structure between window sashes is vertical rather than horizontal, which means less visual obstruction at eye level. They also are available in larger sizes than single or double hung windows and therefore can provide for a larger opening. What’s the style element? Sliders are seen on more modern homes and tend to be popular where view is a big part of the selling point of a home. They aren’t as truly contemporary as casement and fixed glass, so you might say they are a happy medium between traditional and contemporary, especially if you want operable windows at a lower cost with a good view. What are they? Casement windows open by cranking out like doors. They have a fixed side with some hinge-like hardware and open outward. The screen is necessarily on the inside because the windows open out. Casement windows are generally higher-end products that provide a great view, a superior seal and superb airflow. Casement is my favorite type of window, although I don’t love the screen being on the inside. What’s the advantage? Aside from generally being a higher-end design, casement windows are great for temperate climates and/or places with views. Visually appealing, casement windows make it easy to control airflow by cranking the window as far open as you like. What’s the style element? Casement windows are suitable for any home style but are most popular in contemporary designs where large unobstructed panels make more sense than window units separated by mullions. They tend to be more costly than the other types of windows. What are they? Fixed glass windows are pretty self-explanatory I guess. They are made up of panes of glass that don’t move. The frame can be made of any typical window material such as wood, aluminum, vinyl or composite. What’s the advantage? Fixed glass windows can be less costly than a comparably sized operable window because they’re easier to make. Fixed glass fits perfect in many modern home designs, especially those that include a substantial amount of glass. They provide great views and are more secure than operable windows. What’s the style element? You’ll see fixed glass windows in every style of home. They are often used as parts of larger window groupings, as picture windows near sitting areas and in areas that aren’t really accessible, such as door transoms. What if Your Personal Window Style Doesn’t Match Your House? So now that you know all of the primary window designs, have you landed on which one you like the best? And does the window design you like the most fit with the house style you live in? If not, don’t fret. In fact, you might even feel a tinge of excitement. Changing the windows on your home can sometimes dramatically change the entire feel and style of your house! Work in a few other design changes, such as a natural stone accent wall or some modern exterior lighting, and you just might find yourself with a full-on curb appeal overhaul in a few simple steps. Now that you’re armed with an understanding of what’s what, pay close attention to see what you like and start planning! 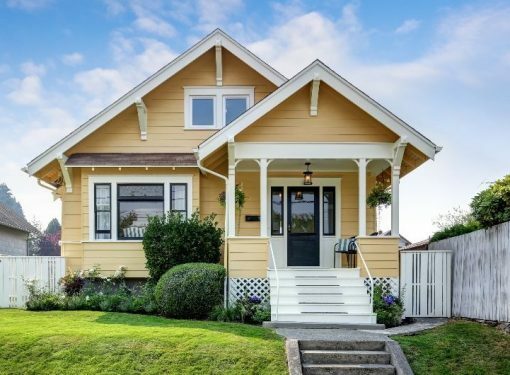 These could push entry-level homes out of your price range. 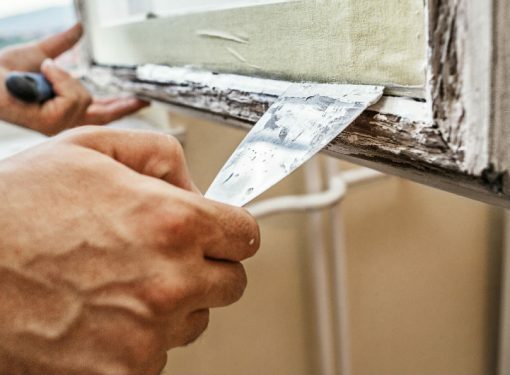 Replacing Windows: DIY or Hire a Pro?